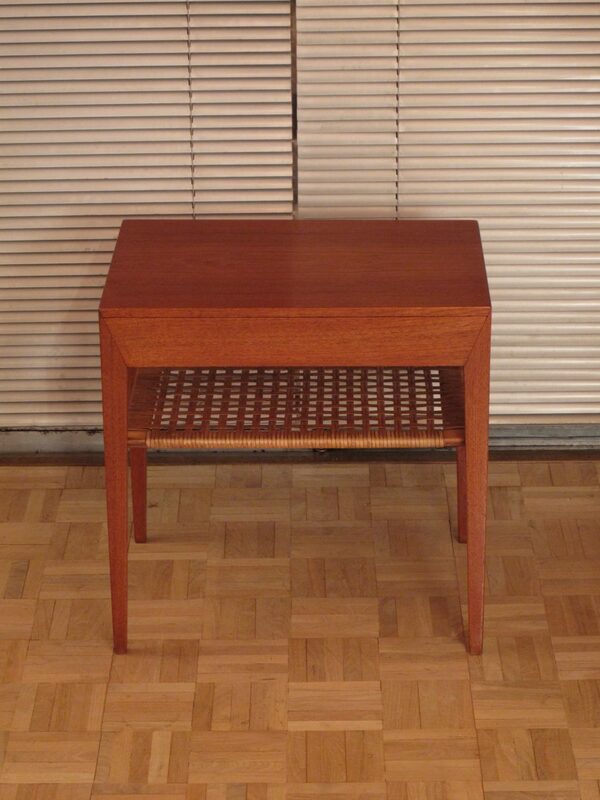 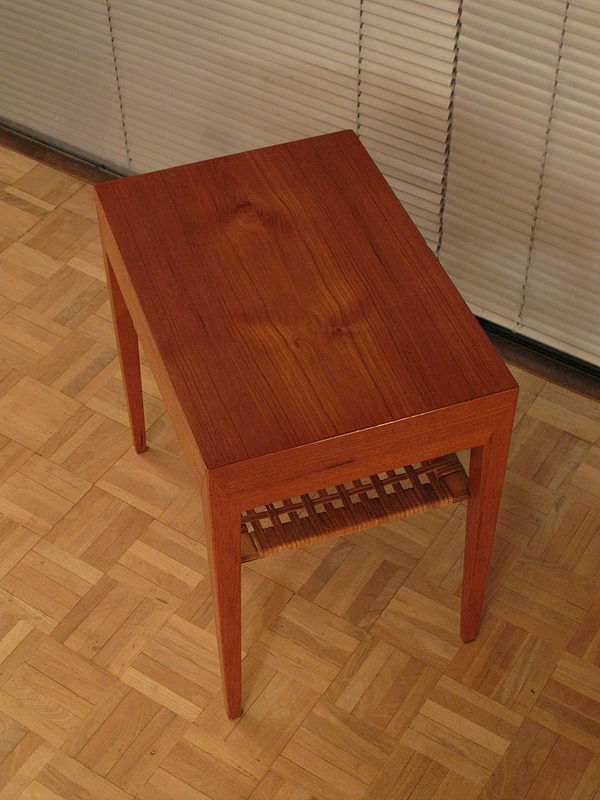 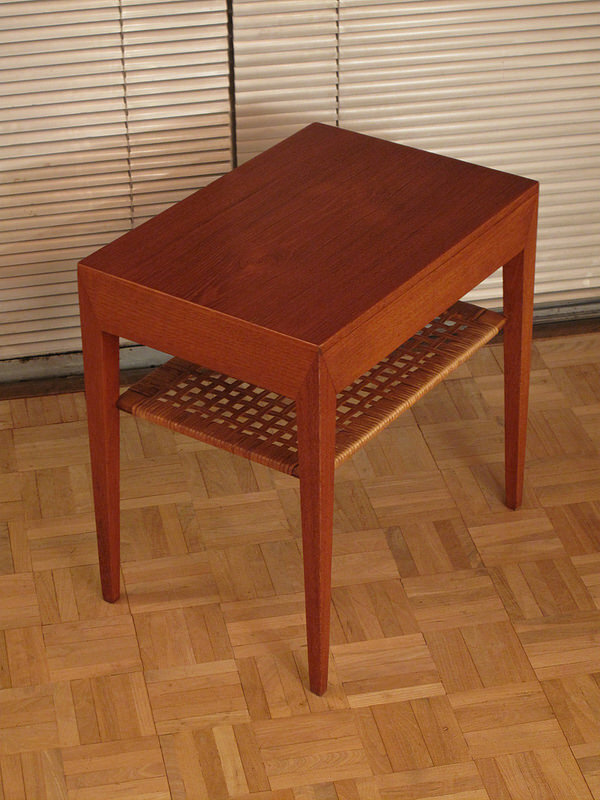 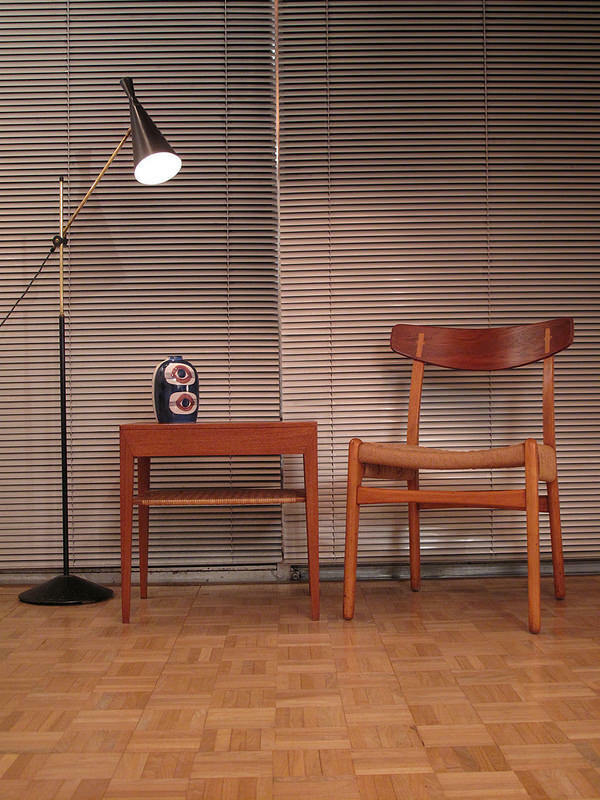 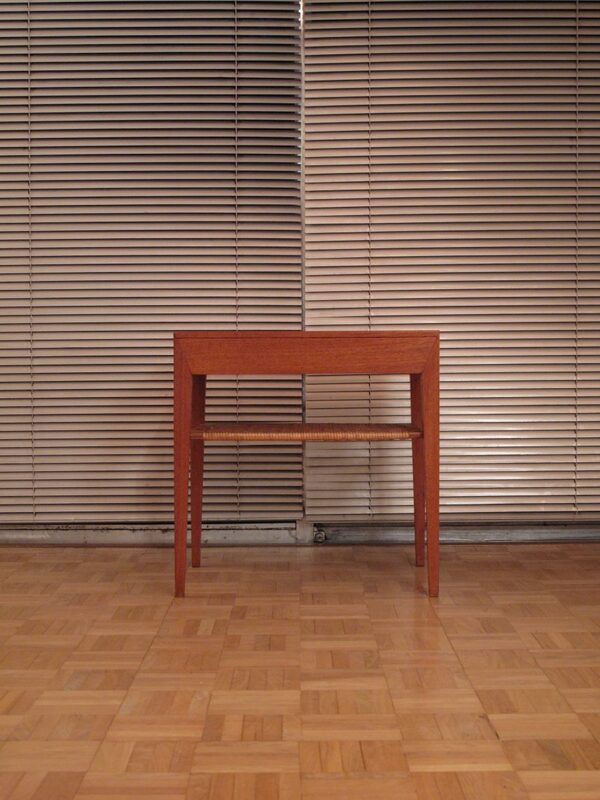 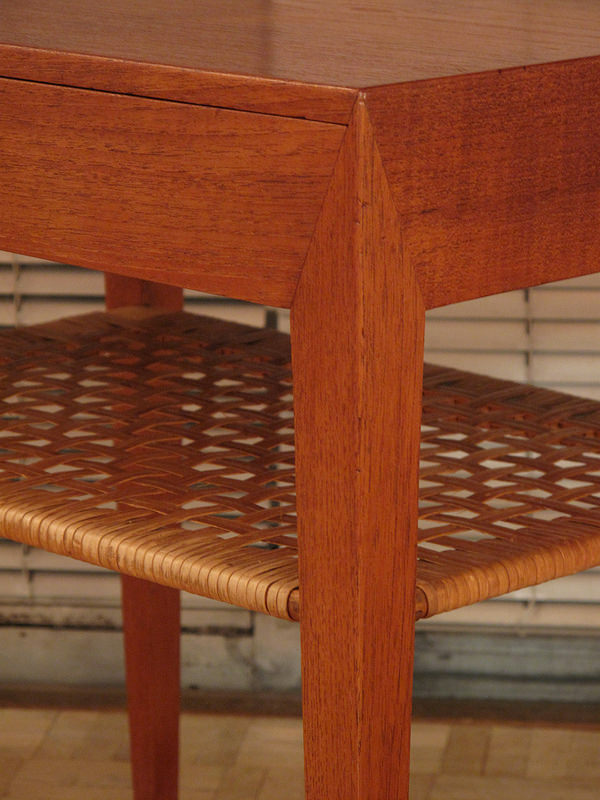 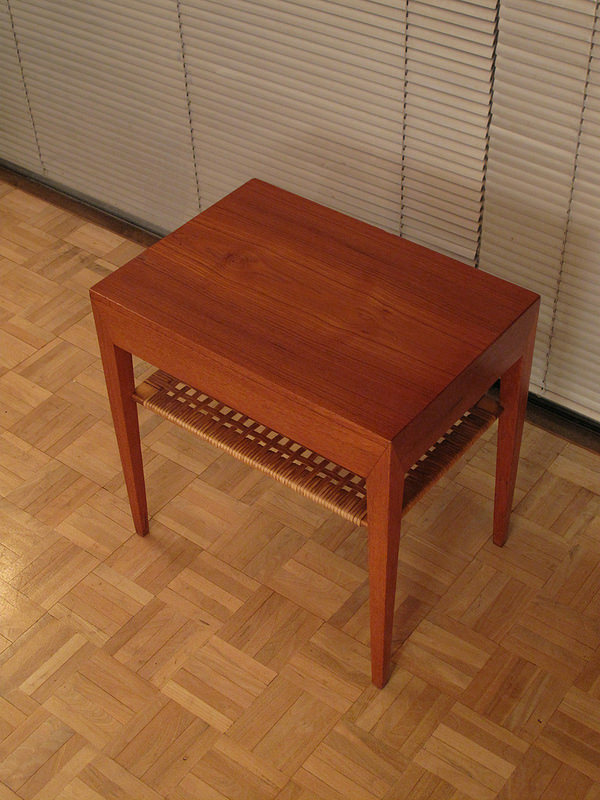 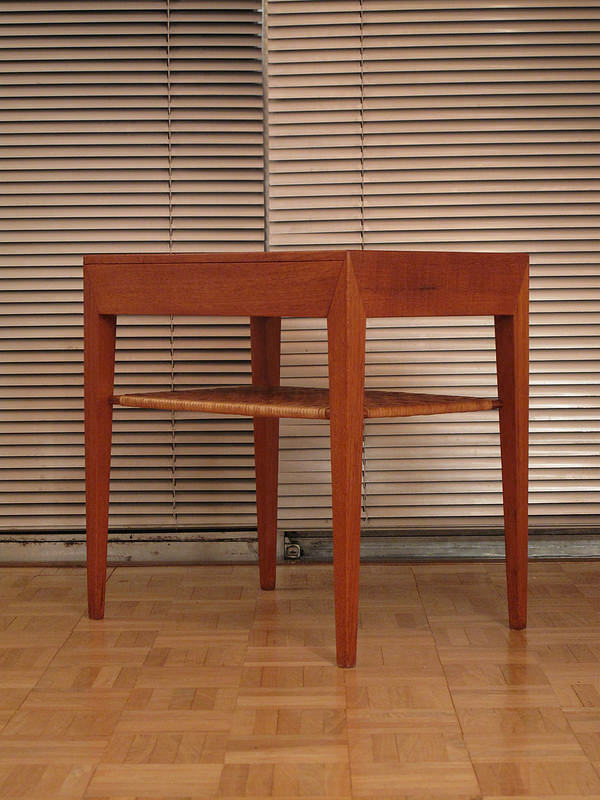 Very attractive little side table designed in the 50’s by Severin Hansen Jr. 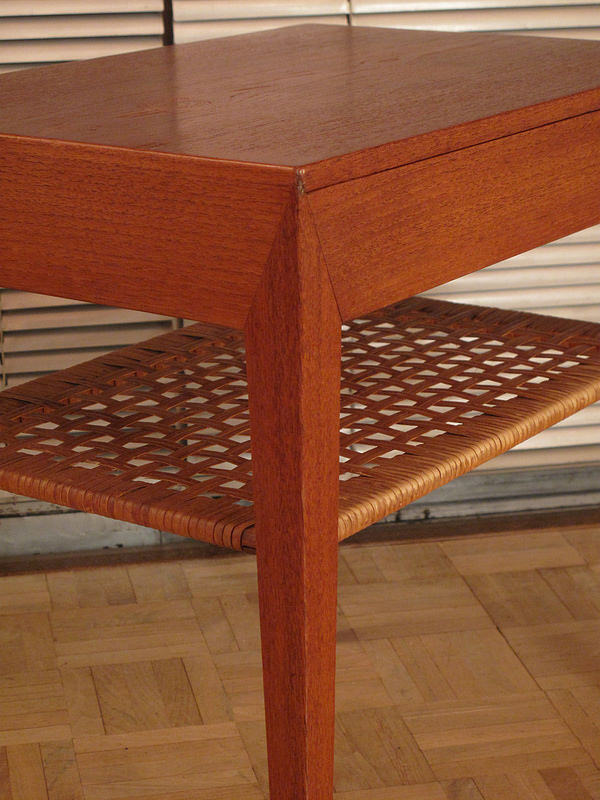 Featuring a dramatic and distinctive integrated leg design with a hidden drawer and rattan under tier. 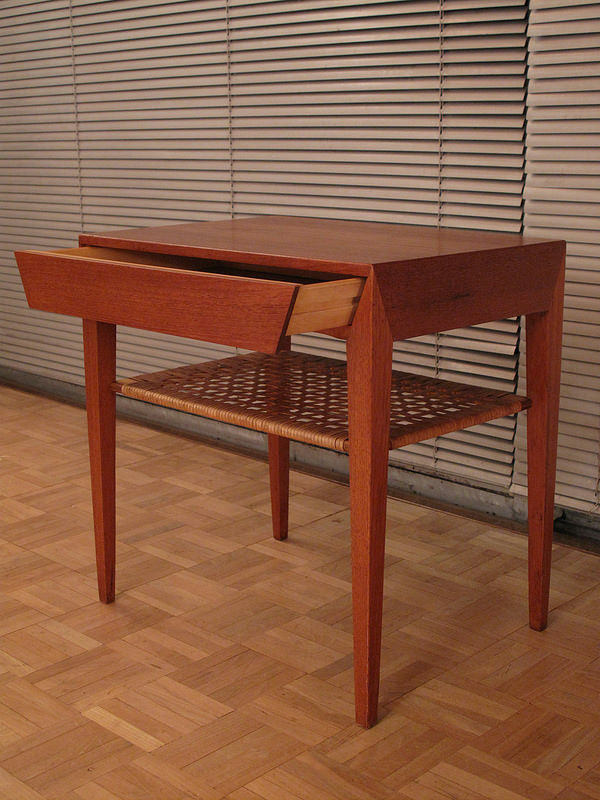 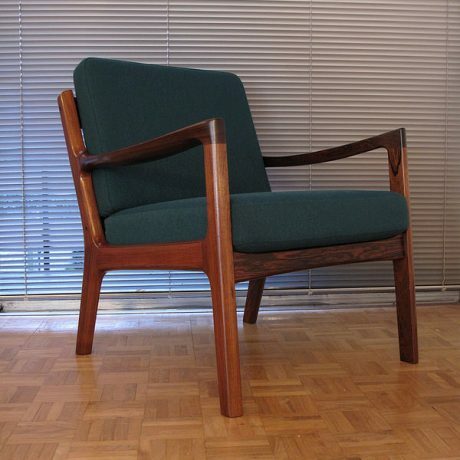 A very hard to find and very collectable piece of Danish Modern, this is an early example from the 50’s produced by Haslev Mobelfabrik. 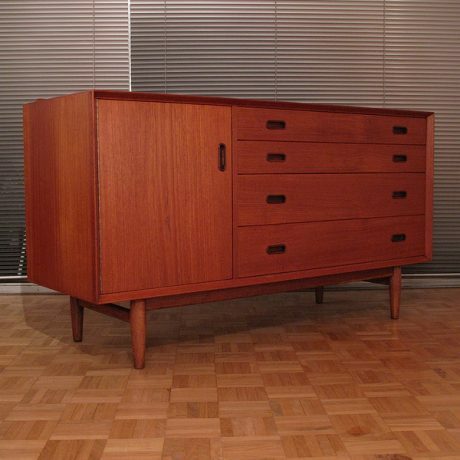 Offered in very nice condition, there is one dent on the edge of the surface which although it does not detract from your enjoyment of the piece it is worth mentioning. 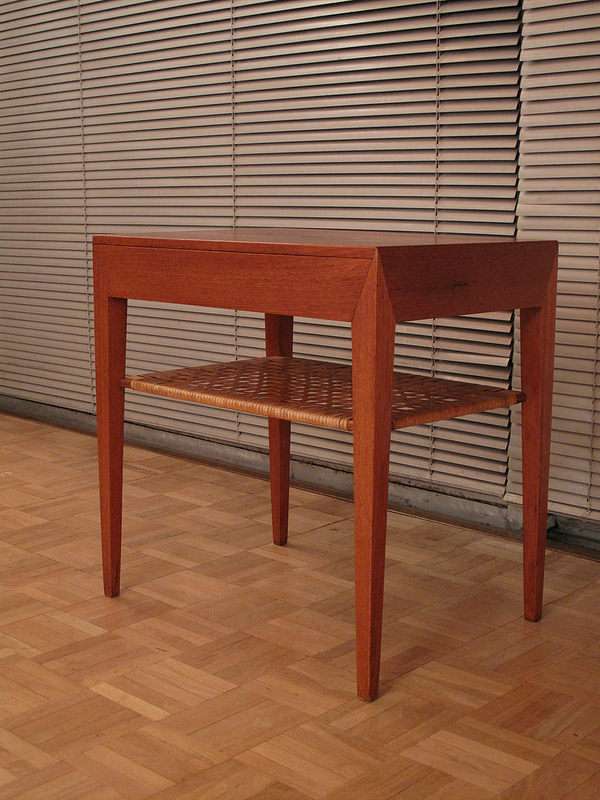 DIMENSIONS: 50cm Long x 35 Wide x 50 High.